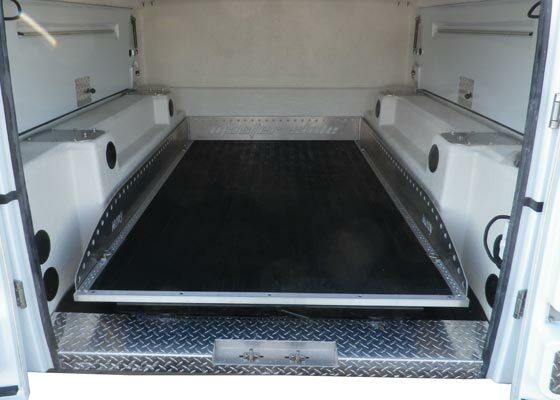 Master Slide is simply a better way to access your Master by turning it into an easy-access sliding bed. No more crawling around to get to your tools or supplies. 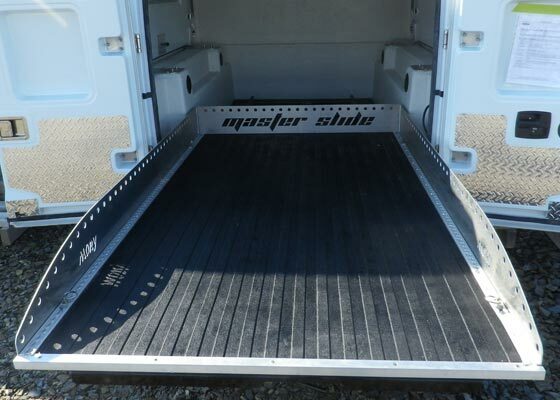 Simply grab the handle and pull out, and the Master Slide rolls all of your cargo out to you. Saving time, effort and back pain. Rust proof with Galvanized Structure and stainless handle. 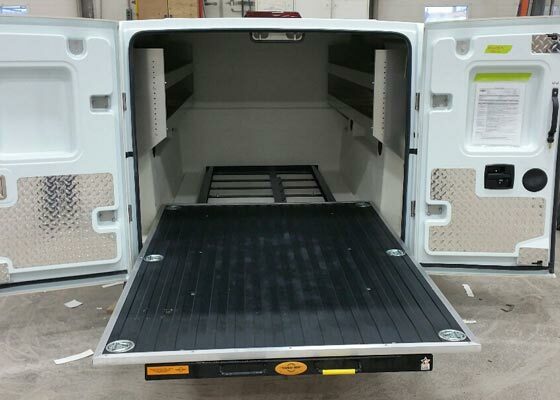 Locking mechanism every 12” for safe and secure rolling. 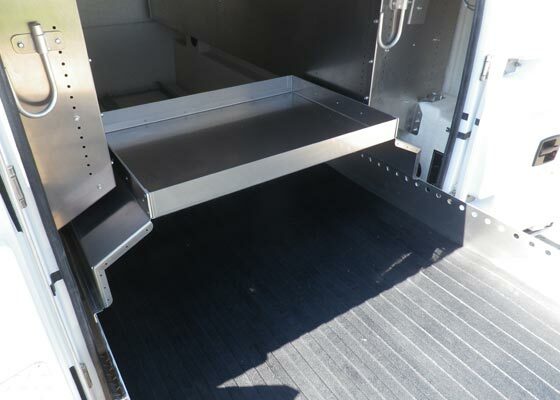 3/8″ Bed Mats, Textured pebble surface helps reduce shifting, while raised ribs ease loading and unloading of cargo. 2500 lbs evenly distributed weight. 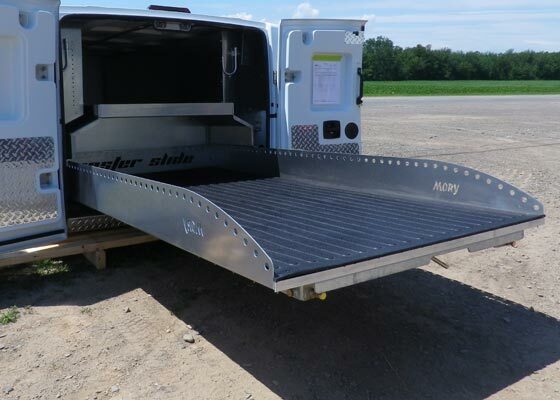 How to choose between truck toppers, truck caps or tonneaus? 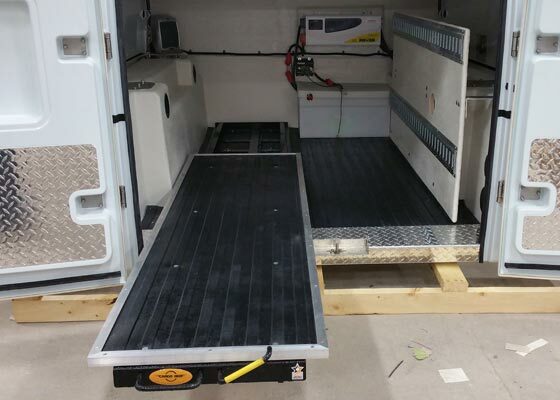 What service truck equipments does every assistance vehicle need? 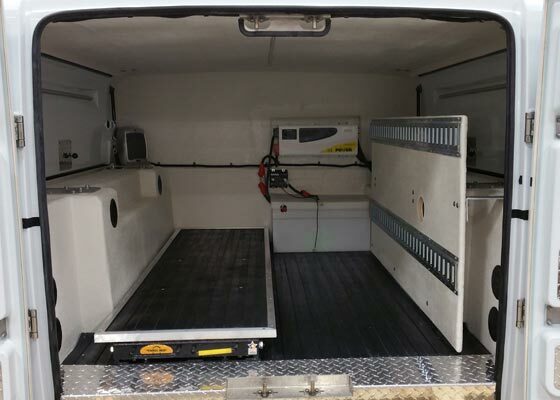 How to Optimize the Space of Your Enlarged Box Van? Master Products are designed to last a lifetime. 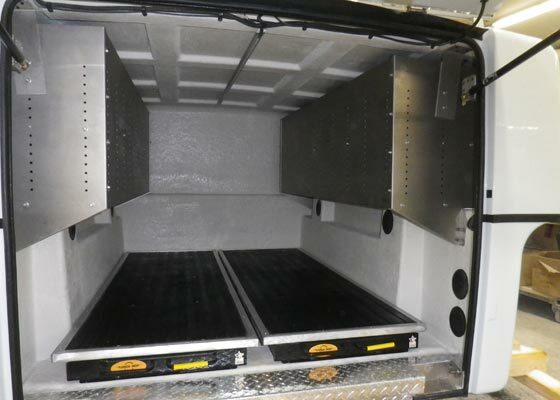 See our unprecedented Lifetime warranty on Master Truck Bodies.